Are you looking for packaging on the Sunshine Coast? 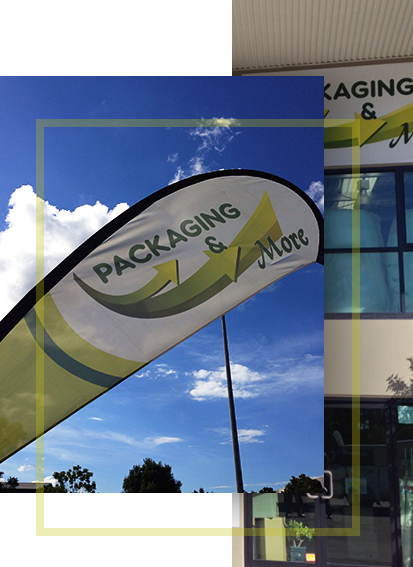 Packaging and more is a locally owned and operated business here on the beautiful Sunshine Coast in Queensland. We are a wholesale packaging business that is very happy to help everyone, no matter how big or small your packaging needs are. We have your packaging needs wrapped up! For a list of all the products we sell follow this link. We are located in Kunda Park, only 2 minutes drive from Maroochydore CBD. Easily accessible from the Bruce Highway and the Sunshine Motorway. Can’t get to us as you are busy in your business, call us 5453 4440 and we can get our rep out to see you or take your order over the phone. Packaging and More supplies many different industries. We are open to everyone, no need to have an ABN to be a valued customer of ours. We meet the packaging needs of a diverse range of clientele: food packaging for a local cafe, bakery or restaurant, a food production company needing items for their production line or packaging to hand out product samples for markets and international food fairs, an art dealer needing something to wrap and protect their valuable art in, a manufacturer needing to protect their workmanship while in transit for installation. Majority of items are available in sleeves instead of cartons, making it easy for everyone to take advantage of wholesale prices.